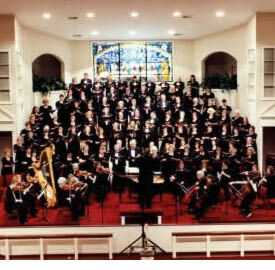 The Lexington County Choral Society (LCCS) began as most things do - simply as an idea in the minds of two individuals, Harold and Linda Scott McIntosh. The idea was to have a community choral group that would specialize on not just major choral works, but on the vast repertoire of choral anthems that exist. 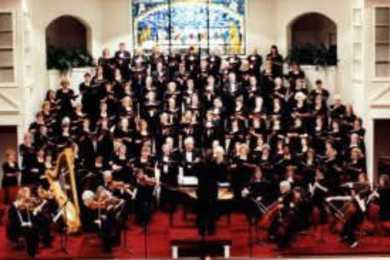 Our first concerts, December 12,13,14 of 1996 were performed by a group of 72 singers. In the Spring of 1997, our group had grown to around 82. In the fall of 1997 our group grew to 92. Now we sing with over 100 members in this exciting organization. It has become apparent that this idea was one whose time had come in South Carolina's fastest growing county.